Danske Bank is seen in Copenhagen, Denmark in this undated Scanpix Denmark photo. 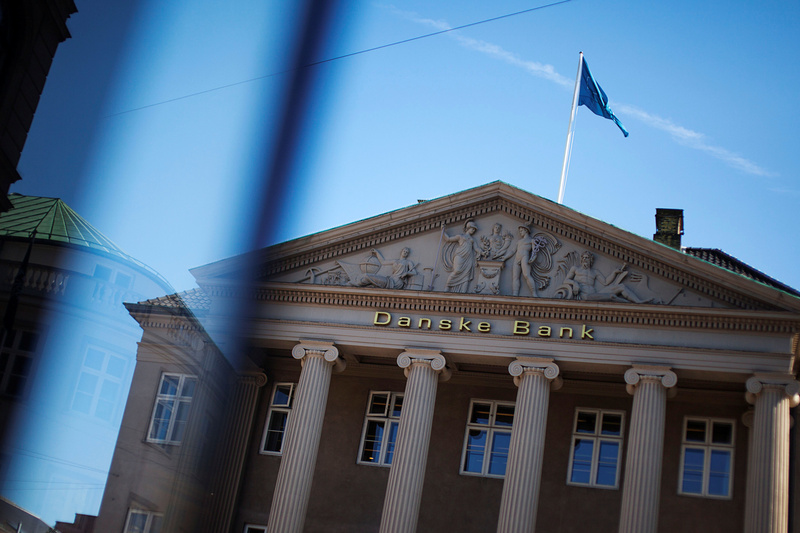 Danske Bank said on July 18 it would give away earnings from suspicious transactions in Estonia once the scale of its historic money-laundering scandal becomes clear. The Danish bank has launched its own investigation into the case, which it said occurred between 2007 and 2015, after a newspaper report this month said Danske laundered up to $8.3 billion – more than twice the amount previously reported. The bank is due to present its findings in September. Danske said gross profit from its non-resident portfolio in Estonia between 2007 and 2015 amounted to 1.5 billion Danish crowns ($234.23 million). It was not clear how much of that sum Danske would give away. "It is Danske Bank's intention to make the gross income generated from such transactions in the period from 2007 to 2015 available for efforts that support the interest of the societies in which we operate, such as combating international financial crime," the bank said. On Wednesday Danske reported a fall in second-quarter pre-tax profit, thanks to sharply lower trading revenue. The lender said net profit for the year would be at the lower end of its forecast range of between 18 billion and 20 billion Danish crowns ($2.8 billion to $3.1 billion). Pre-tax profit at Denmark's biggest lender stood at 5.49 billion Danish crowns for the three months to June 30, down from 6.18 billion Danish crowns a year earlier. Analysts had forecast a profit of 6.02 billion Danish crowns. Danske Bank shares were down by 9 percent to 177.3 Danish crowns at 0815 GMT on July 18.